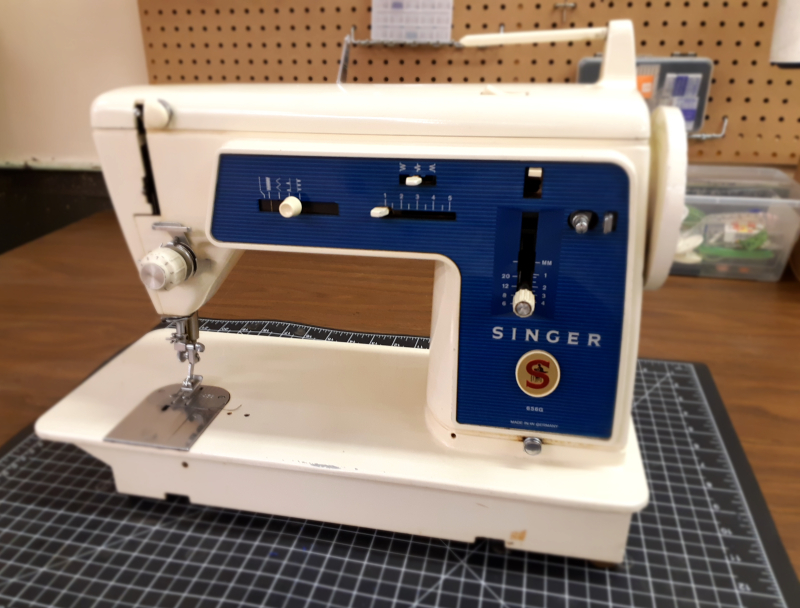 VHS has a variety of sewing and overlock serging machines. 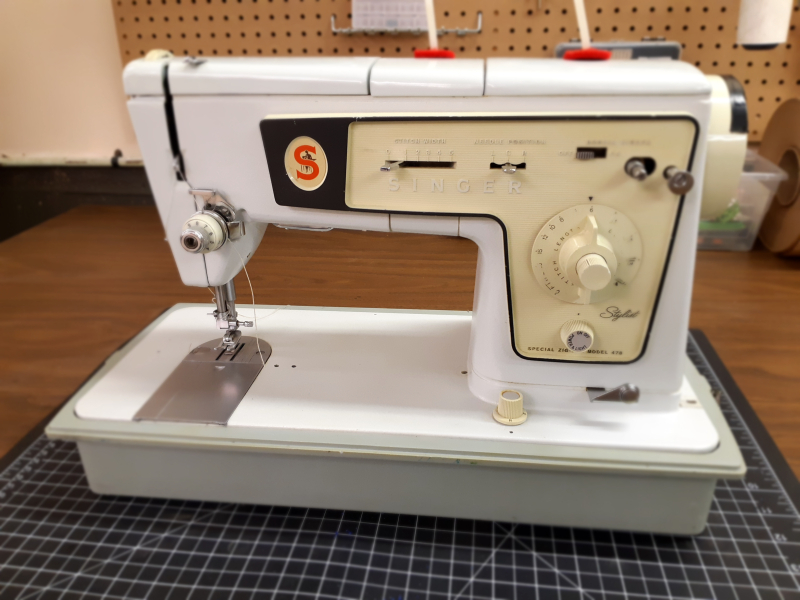 Newer machines are more accurate and have more complex functions Older machines tend to have more solid metal parts and build, and can sew through tougher materials like denim, leather and multiple layers. I'm sewing but all my stitches fall out - Did you run out of bobbin thread? Wind a new bobbin. Did you leave the presserfoot up? 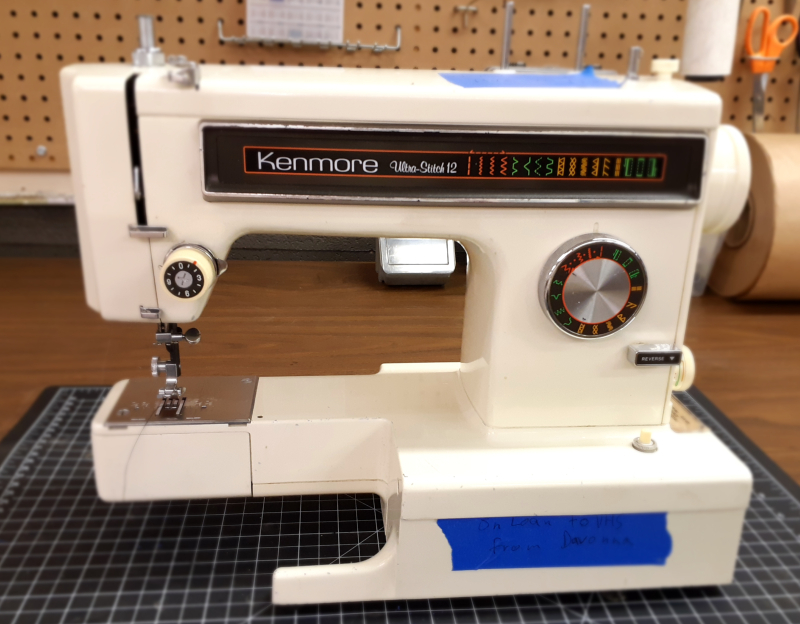 You can only sew with it in the down position first. 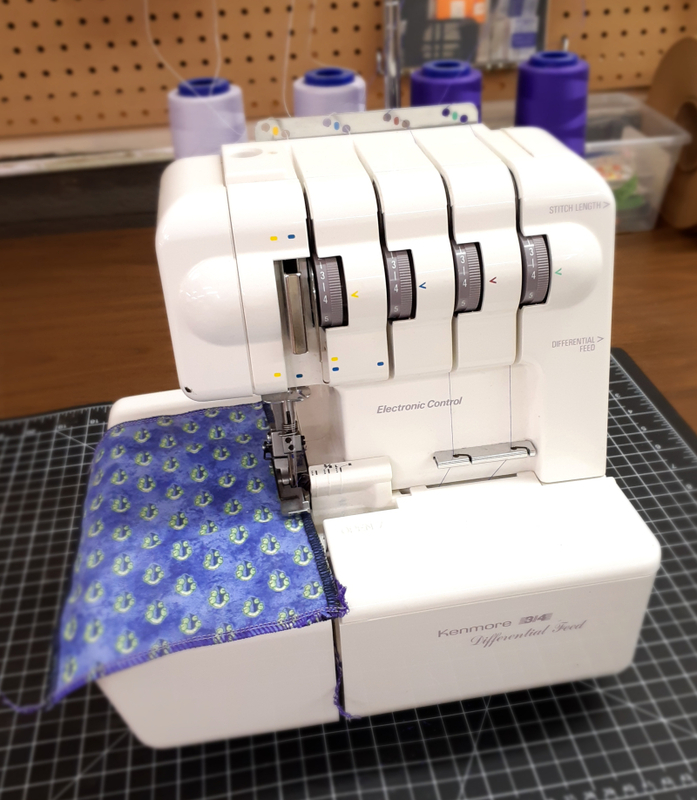 Threads are too loose or pulling tight - Check that your machine is threaded correctly. Check the tension dials and stitch length. I'm sewing but it won't go anywhere - Check your stitch length and style, are you on a stretch stitch or fancy? Are you trying to sew with the presserfoot up? 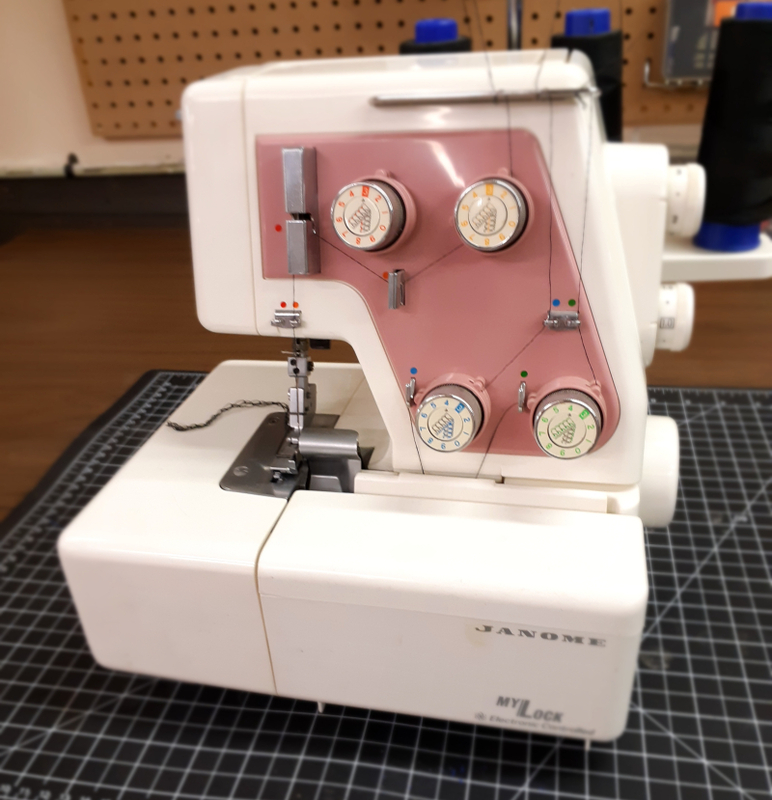 This is the main serger set up on the craft table. By default it is set at a 4-thread safety stitch for general purpose woven and stretch fabrics. 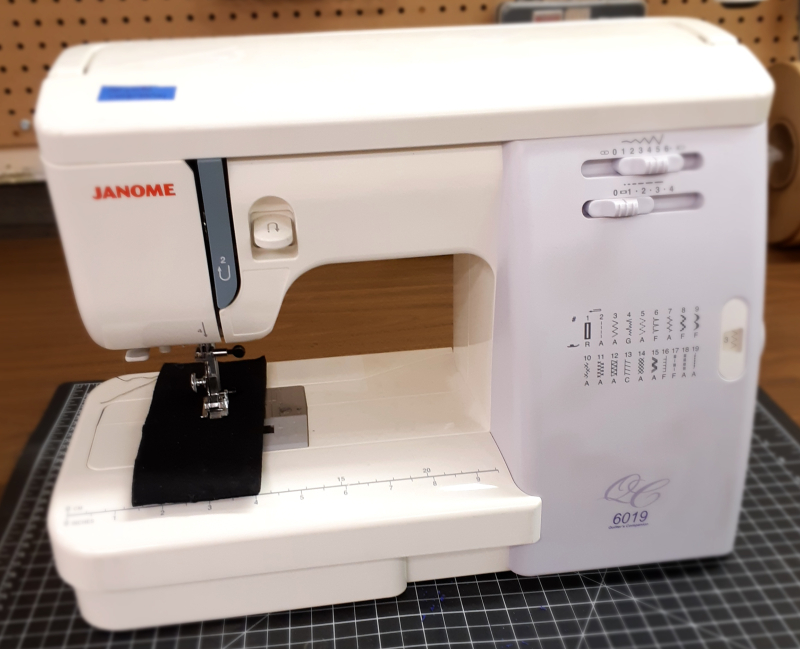 Feel free to change thread cone colours, but for 3-thread edging, use the Janome located on the workbench. Check your lower looper threads if they are threaded properly. Check needles. 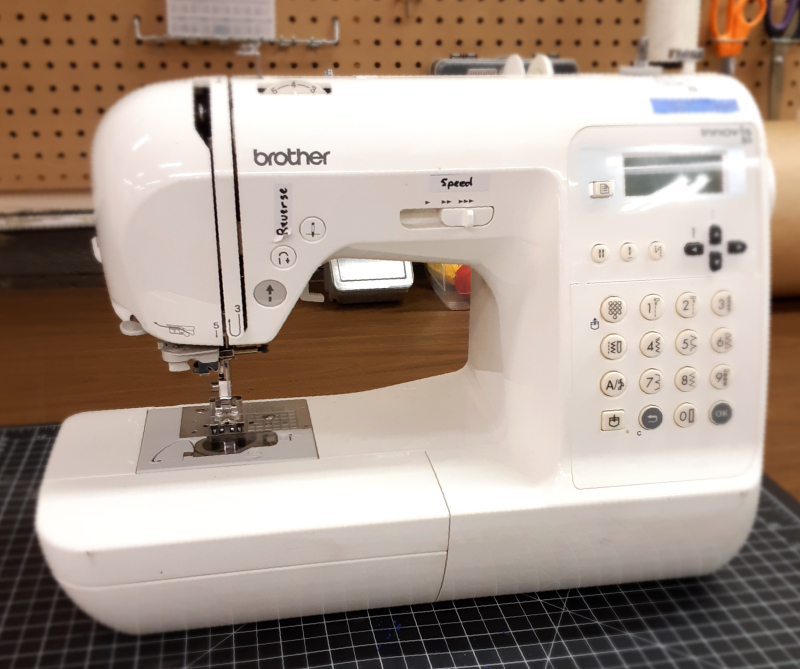 VHS' other serger, this machine is by default set to a 3-thread overlock to finish edges but not sew pieces together. Feel free to change thread cone colour.